The Callaway Apex hybrid provides the benefits of a hybrid while maintaining the spin characteristics and controlled ball flight of a long iron for better players and Tour Pros. 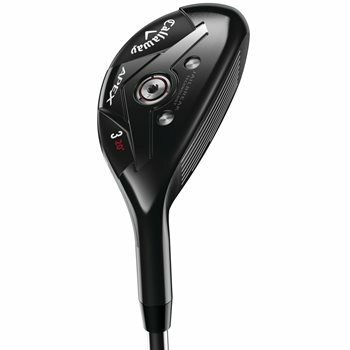 It features Jailbreak Technology that places more impact load on the face to promote fast ball speed and distance as well as a Forged Cup Face designed for increased ball speed at every impact location. The Apex has a classic dark PVD finish and precise shaping with a longer, more iron like blade length and a neutral bias that better players prefer.